Today we welcome SCBWI member Ashley Lucas who's new adult coloring book comes out next month. Welcome Ashley! Ever since beginning my journey as a full time artist in 2011, I've played around with designing coloring books and pages. I started posting them in my etsy shop as printables for kids... and then... it happened. 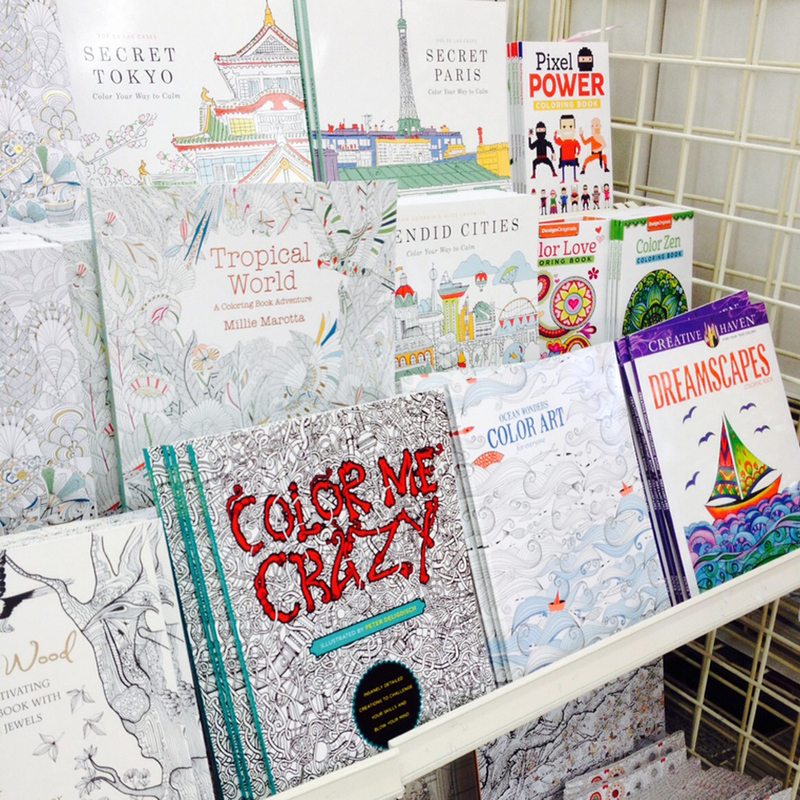 The adult coloring book boom. I started playing around with the keyword 'adult coloring book' within my online listings and my views and sales jumped sharply. I began to create book after book and was most inspired to create one around my current life here in Salzburg, Austria. 'Zinnie's Garden Coloring Book' was a great way for me to keep my skills sharp while living in a new land surrounded by a new culture and language. Originally from the United States, I moved to Austria last year with my husband (who is a Salzburg native). I found it very hard to break into any kind of illustration market here, so the next best thing was to really dig into the possibilities online. I started focusing more on social media and eventually, after almost a year of continuously putting my work out there, an editor contacted me about possibly publishing 'Zinnie's Garden Coloring Book'. 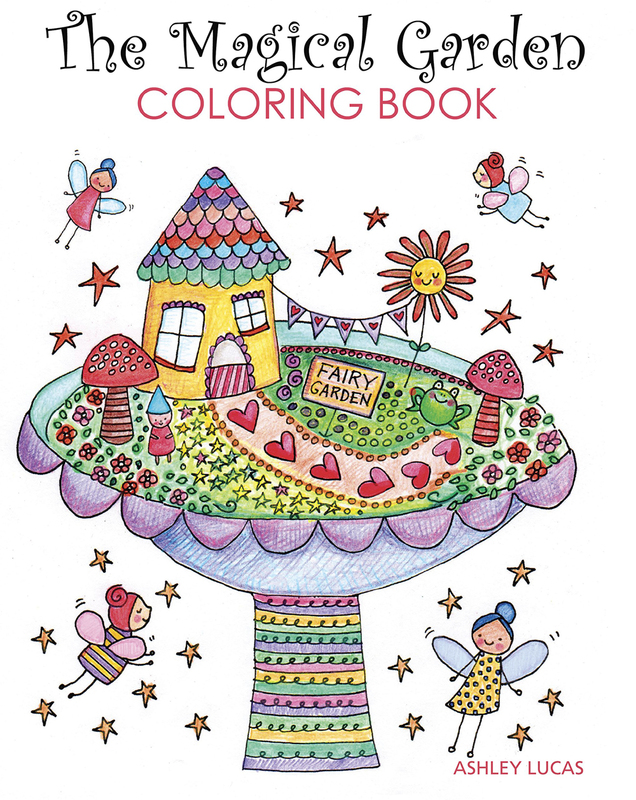 I was thrilled, but after sending her the book, her feedback was that it needed lots more detail on every single page in order to keep adult coloring enthusiasts engaged. I was up for the challenge! I worked day and night for a month putting all 23 pages together. 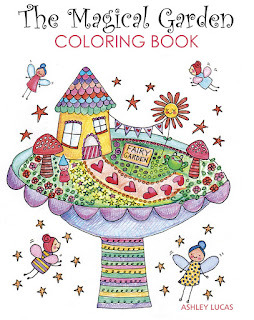 The book, now renamed, 'The Magical Garden Coloring Book', will be available beginning March 1, 2016. Research online and in stores before you begin. Look at what subjects are most popular, but be sure to make your idea different than anything else available. If you have trouble finding the right publisher, consider self publishing with Amazon's CreateSpace. I have used their service in the past with great results. 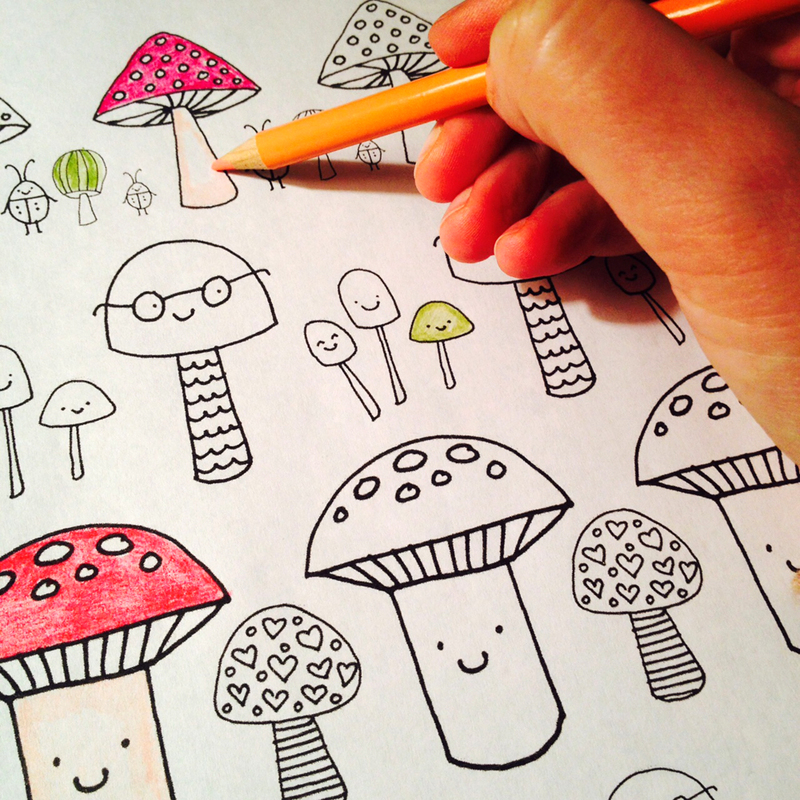 Remember that adult coloring books are meant for relaxation, so the designs should flow together and be fun to color. 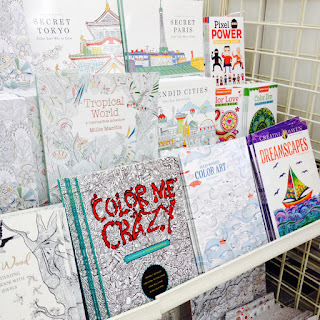 If you publish a coloring book (traditionally or self published), have some kind of social media and marketing strategy in place at least a month before the book arrives! Ashley Lucas (aka Lady Lucas) is an author and illustrator who has written and designed various picture books and coloring books featuring her sweet, hand drawn characters. She loves to share her experiences with others, so don't hesitate to contact her via her website or on social media at @LadyLucasArt. February 14 is not only a day to celebrate LOVE, but it is also a day to celebrate books and what better way to celebrate books than to GIVE books. SCBWI Germany & Austria member Catherine Friess is here to tell you all about International Book Giving Day. International Book Giving Day (IBGD) takes place on Sunday February 14th 2016 and I am delighted to be part of this year's International Book Giving Day team. We are all book loving volunteers from around the world who are hoping to encourage as many people as possible to give a book to a child on Valentine's Day. Initiated in 2012 in America by Amy Broadmore and her son, literally days before 14th February, International Book Giving Day is now a global affair with donations and events taking place worldwide. Many children don’t own or have access to books and International Book Giving Day aims to ensure that as many children as possible across the globe will receive books. It is also a great day to promote enthusiasm and excitement about books as well as encouraging more children to read. Do I have to give new books? Books don’t have to be new but should be in good condition. They can be used books that your family have outgrown or unwanted gifts. In previous years we have sent books to The Rainbow Library in the UK (they were a mix of new and good quality books that we bought in charity shops which meant that the charities also benefitted). We've also given new books to family and friends as well as good quality books that we no longer read. This year we are looking at ways that we can donate books to charities and churches that are working with child refugees. We're also going to donate books to our local library, our librarian recently told me that she doesn't have money in her budget for English books for children. What can I do for International Book Giving Day? Give a book to a child - a family member, a neighbour or a friend. Donate books to your local hospital, hairdressers, doctors or dentists to use in their waiting rooms. Donate books to schools, nurseries, preschools, childminders or local libraries. Leave books on the seats of buses or trains or on park benches with a message or one of the International Book Giving Day bookplates inside. Hold a book swapping morning in which you invite guests to bring a child’s book to swap with the child of another guest. Hold a picture book party. Invite guests to bring a picture book to give to a young guest as well as a picture book themed snack so that everyone can enjoy a picture book picnic. 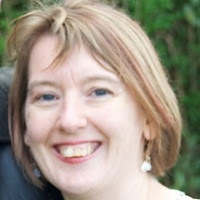 Arrange to give / swap a book with a parent, grandparent, godparent or teacher that you have connected with on social media but not met. Support book related charities (there's a list on the International Book Giving Day website). Donate books to charities working with child refugees (see the link for Playing By the Book's blog). Authors and Illustrators - Give away copies of your books on your blog or website. Arrange an author / illustrator visit to your local school / International school. Blog about International Book Giving Day. Display the International Book Giving Day logo on your blog or website. Share this and any other International Book Giving Day blogposts wherever you can. Follow International Book Giving Day on Twitter and Facebook. Use the hashtag #bookgivingday to promote the day on social media. Print out and display the poster to spread the word about International Book Giving Day. You can read more about International Book Giving Day and keep up with all the news and events on the website. The Book Giving Day team would love to know via Twitter, Facebook or email how you are celebrating / have celebrated International Book Giving Day this year. Please share this post wherever you can using the hashtag #bookgivingday.